It can be difficult to find the time to sit down and go through your accounts (and it doesn’t help that bookkeeping and accounting aren’t exactly the most enjoyable parts of freelance work). Nonetheless, it is important to keep on top of your finances, and this means completing a number of tasks on a regular basis. Here’s what freelancers should make time for every day, what should be done every month, and what can wait until the end of the financial year. The key to making money from freelance work is ensuring that your income exceeds your expenses. Sounds simple, right? It can be – so long as you actually monitor the money you’re spending and the money coming in. To track the money you spend, you’ll need to keep a full, complete history of every cost and expense incurred by your freelance work (materials, equipment, bills, etc.). This might mean filing purchase invoices or sales contracts but, more often than not, this means recording your payment receipts. On the flip side, documenting the money you earn involves having a full record of every sales invoice you’ve issued to clients, as well as any additional income you receive. It’s good to get into the habit of recording your income and expenses as you go. It takes just a few seconds to snap a photo of your receipt or to send an invoice to a client, but, if you let these little tasks build up, you could end up spending much longer to clear the backlog. 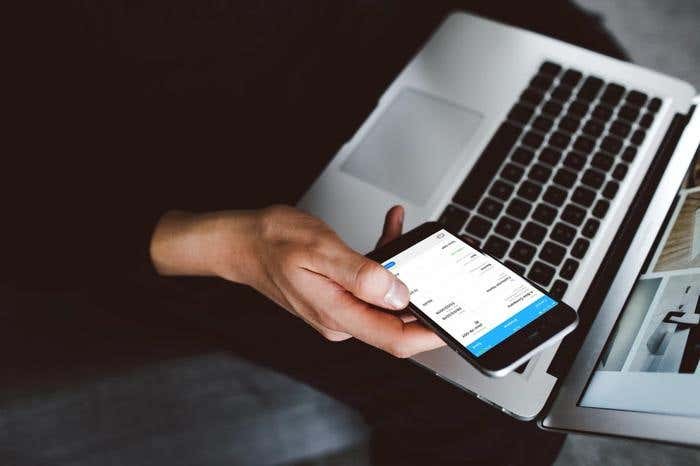 If you’re looking for an easy way to track income and expenses on the go, try a mobile invoicing app that lets you manage your day-to-day finances as and when you need. Bank reconciliation sounds like a rather technical term, but it’s actually quite straight-forward; in short, bank reconciliation is the process of matching bank transactions with your income and expenses. It isn’t the most exciting thing to do, but it is an important part of managing your finances as a freelancer. You could do this manually as you go, but there’s a couple of good arguments for leaving bank reconciliation until the end of the month. Firstly, it’s a lot of unnecessary work to think about matching transactions on a daily basis. Most invoices have payment terms of a few days, or even of several weeks; it’s therefore common to have invoices that haven’t yet been settled. If you wait until the end of the month, it will be easier to identify which invoices are actually outstanding and which clients you need to chase. Secondly, manual bank reconciliation is a pretty dull, time-consuming task. If you want to minimise the time you spend matching bank transactions with income and expenses, you can sign up to an online accounting program or invoicing software with automatic bank reconciliation. Then, all you have to do is upload a bank statement once a month and let the software pair everything for you. One aspect of accounting that fills many freelancers with dread is financial reporting. Even the idea of creating financial reports can be a bit overwhelming – especially if you don’t have a background in accounting. But, if you’ve stayed on top of your daily and monthly bookkeeping, you’ll already have a solid foundation that makes financial reporting a whole lot easier. For freelancers, there’s two key financial reports to be aware of: the profit and loss statement (also known as an income statement) and the balance sheet. It’s a good idea to prepare these reports at the end of each financial quarter and at the end of the financial year. 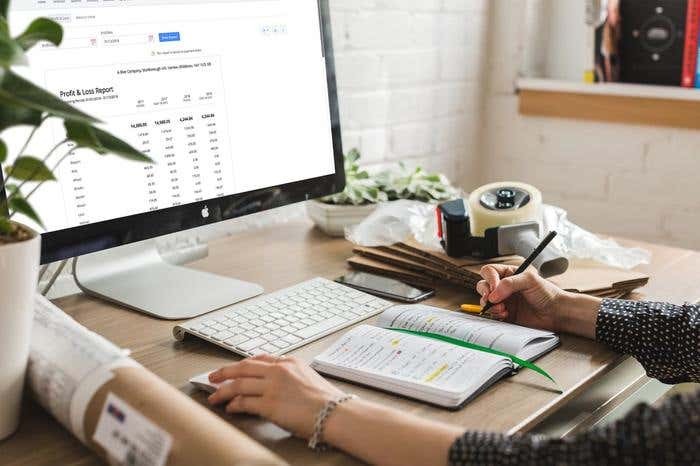 Quarterly reports help you get an idea of how well you’ve performed over the past few months and whether you’re on track to meet your financial goals. On the other hand, almost every business is affected by seasonality, which means that you’ll have dips and rises in your income and expenditure throughout the year. An annual report therefore provides a better overview of whether your freelance work is actually profitable, as well as giving you insight that can help you plan your spending over the next financial year. If you record income and expenses as you go and reconcile bank statements every month, it isn’t actually too complicated to prepare financial reports. You already have all the information you need, you simply need to fill in the figures. It certainly isn't everyone's favourite thing to do, but it is essential that you make time to keep on top of your finances. Just a few minutes each day will pay off in the long run by saving time further down the line and helping you understand whether your freelance work is profitable.